Through natural language processing & natural writing exercices based on texts brought by the participants (grant application, administrative sources, theoritical papers), this session of semantic decontamination proposed to co-elaborate a subjective and critical glossary of technological vocabulary. The documentation of the workshop helped build a reproductible model, gathering methods and a collection of scripts and texts to propose an accessible SDKit. 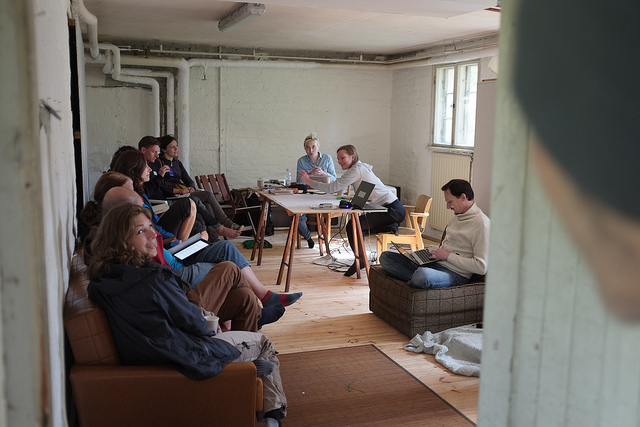 The workshop was hosted by Catherine Lenoble & Marika Dermineur.